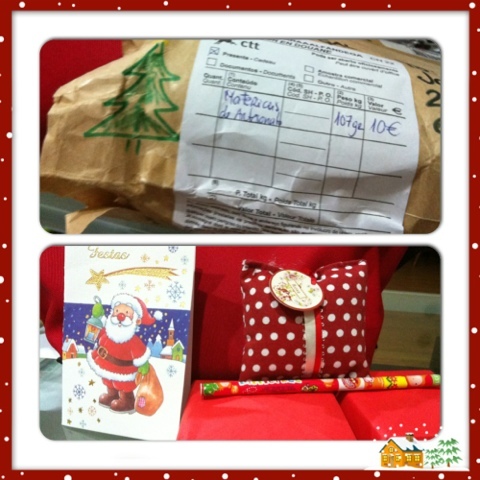 I received a very adorable and lovely exchange gift from Veronica at 23/11/2012! 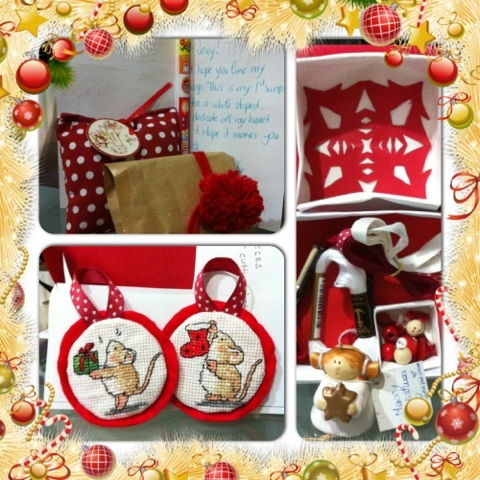 Beside the very cute handmade ornament with M.Sherry mice, she also attach with a lot small gift to me, and also a greeting card. The box also handmade by Veronica! That's so sweet! Veronica, thanks your lovely gift, I sure will have a Merry Christmas and a well 2013! I wish you all the best too!I love them very much!